Remember the guy who climbed electricity pole to protest hardship in the land. The one that asked Buhari to resign, I’ve just found out he was picked up and is currently in DSS custody. 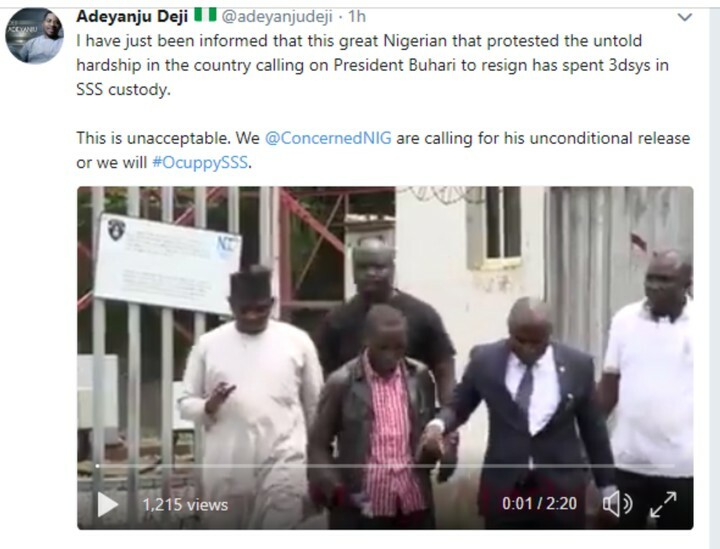 Adeyanju Deji’s Concerned Nigeria group are threatening to occupy the SSS office. 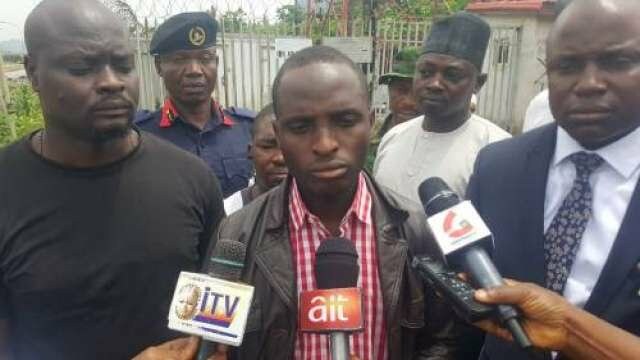 I have just been informed that this great Nigerian that protested the untold hardship in the country calling on President Buhari to resign has spent 3dsys in SSS custody. This is unacceptable. We @ConcernedNIG are calling for his unconditional release or we will #OcuppySSS.